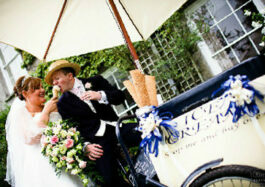 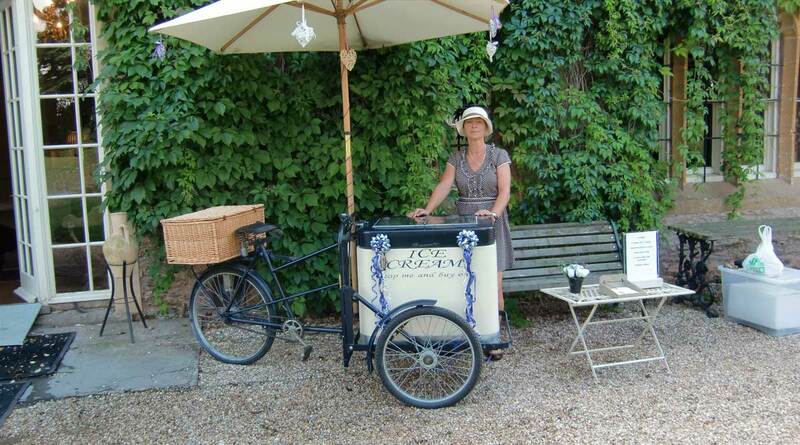 Classic 1920's style ice cream bike/tricycle /cart. 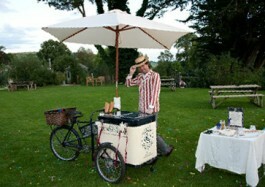 available to hire for your wedding/event. 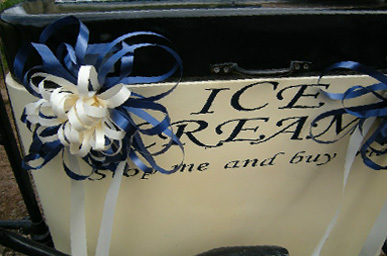 Thank you for visiting the ‘Icicle Tricycle’ website. 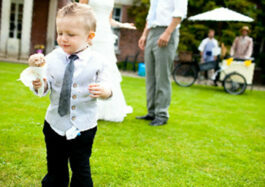 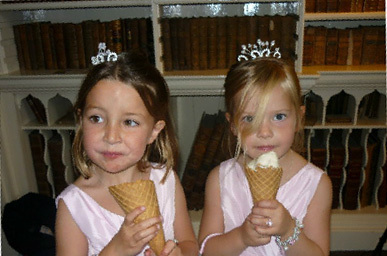 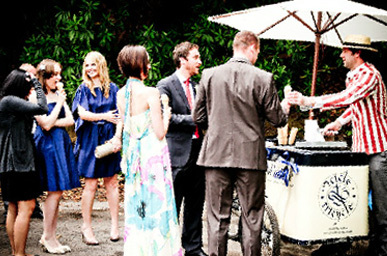 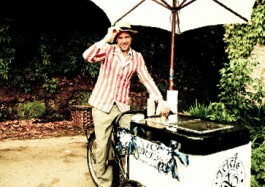 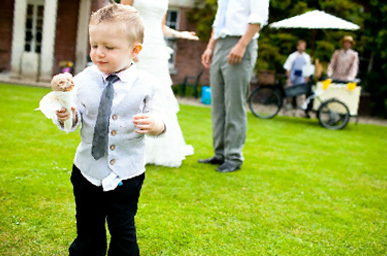 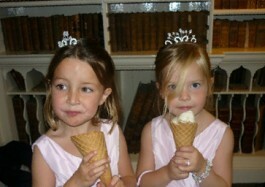 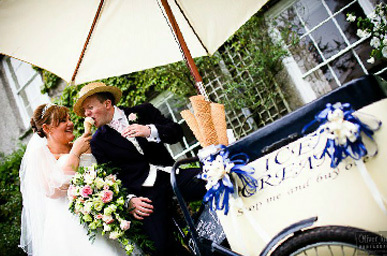 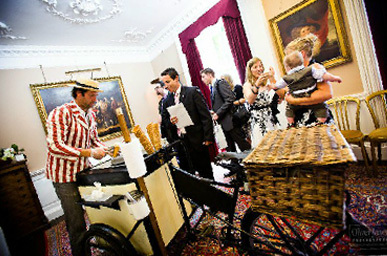 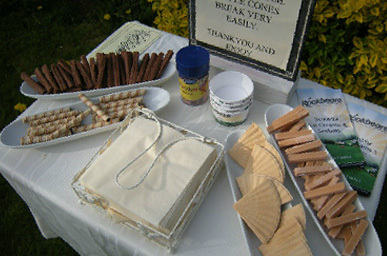 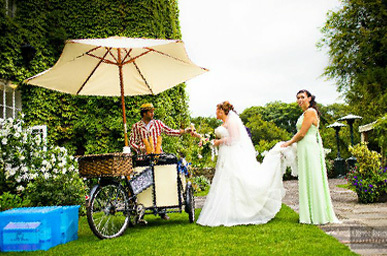 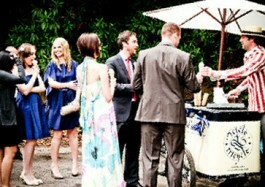 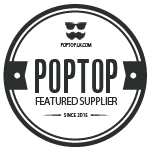 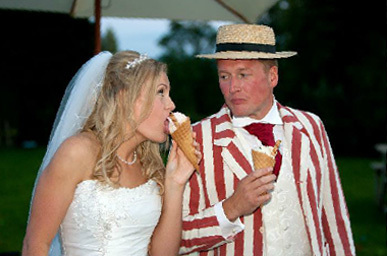 We offer a unique hire service, providing a choice of premium quality Devon Ice creams and sorbets. 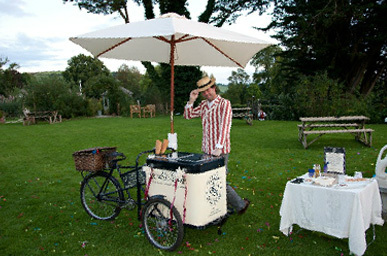 The ice cream is served by friendly, professional staff from a fully refurbished, original Pashley ice cream bike/tricycle/cart. 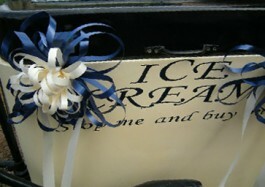 We aim to help make your wedding or event one to remember and will decorate the ice cream bike to your specification, with colour co-ordinated ribbons, fairy lights etc. 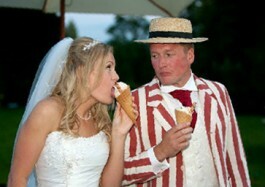 Staff can be traditionally dressed (boating blazer and hat) if required. Please note that travel costs may be incurred depending on the location of the venue. 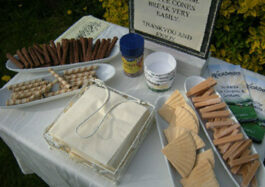 We are fully insured, registered with the Environmental Health and operate to high food hygiene standards. 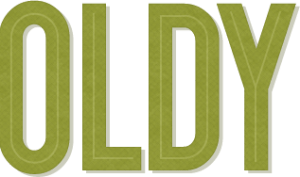 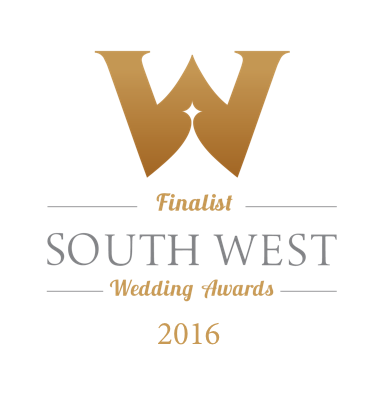 We operate in the Southwest of England, primarily covering Devon, Cornwall and Somerset.